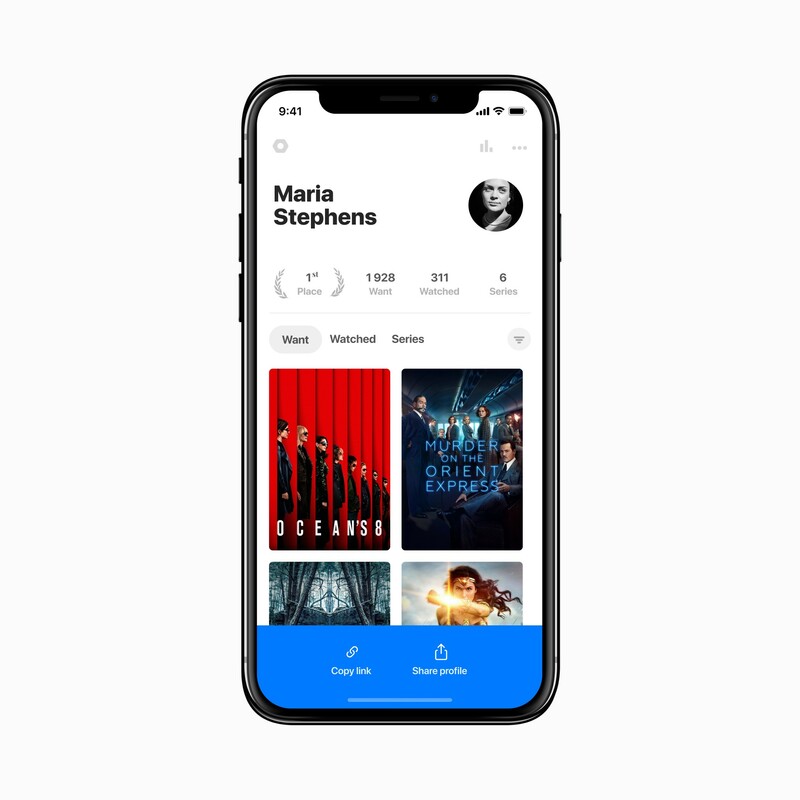 A week ago we brought the ability to pick any streaming platform with a single click in order to watch your favourite movies. Today we bring the same functionality to TV shows. When exploring the series pages, find a show that you are either watching or want to watch. If it’s available for streaming online, you’ll see the logos of such platforms listed below on its page. Getting your friends involved is now easier than ever. If you ever had the desire to make a few recommendations or share movies and series you’ve watched with friends, we’ve made it easy to do. All it takes is pulling down your profile page or pressing the three dots in the top right corner of your profile page to share your profile directly via social networks or any type of messenger you prefer. Alternatively, you can copy a direct link to your profile with its movie collection that you can use anywhere you want. Be a good friend, help your favorite people avoid bad movie experiences by sharing with them what’s good! In addition, we are releasing a new frequently requested feature — title swiping! Next time you are going through your want or watched list of movies and series, no longer do you need to go back to your list to open another title to see its details. 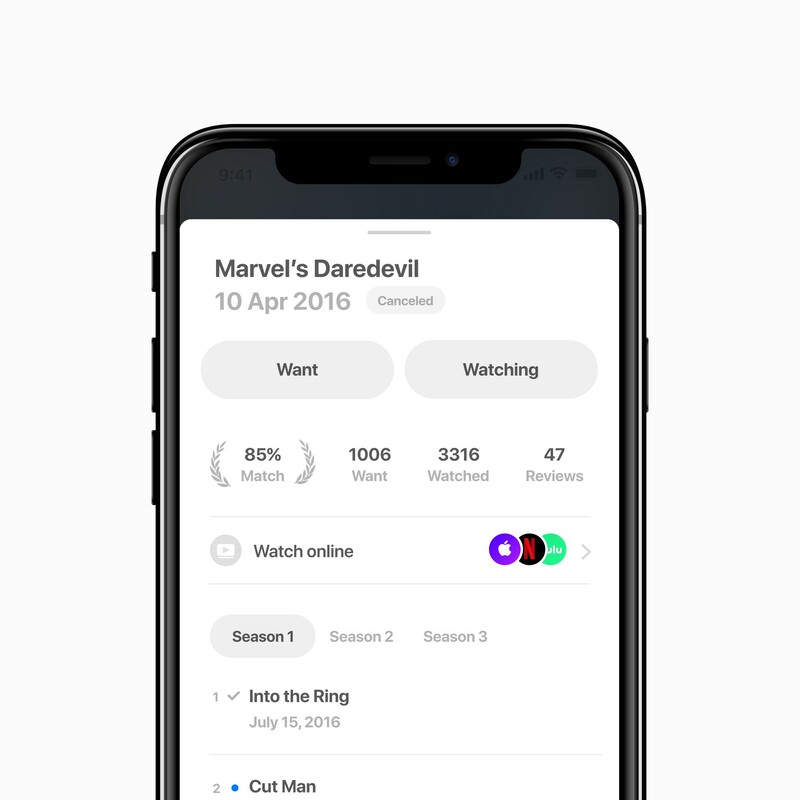 You can now easily swipe between them while the movie/series card is open, making it more quick and efficient for you to find what you are looking for.